In Shanghai, China, it is midnight when Wake Foresters walk across Hearn Plaza at noon. But a 12-hour time difference and 7,600 miles were small obstacles to overcome for a group of Wake Forest faculty and staff who traveled to Shanghai to explore new opportunities. 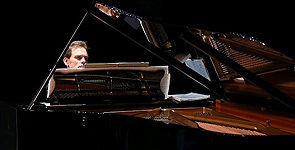 The centerpiece of the visit was a concert by music professor Peter Kairoff for an audience of 300 at Dulwich College-Shanghai. 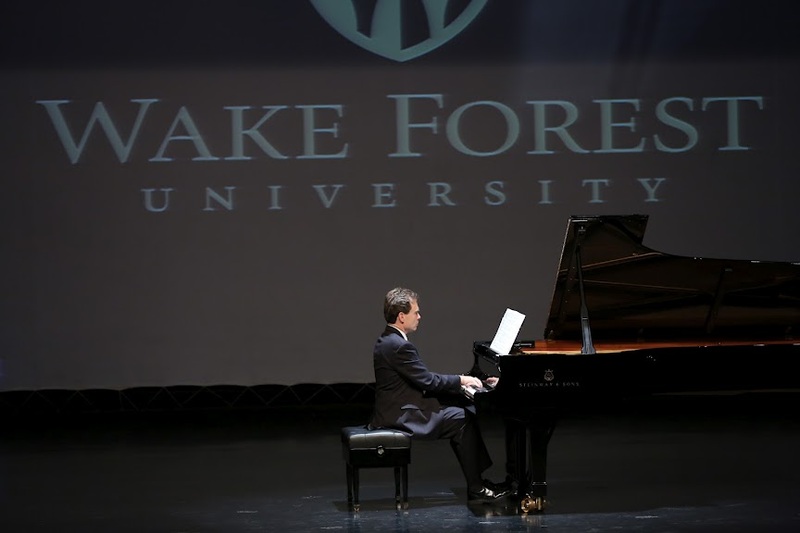 After the concert, Wake Forest hosted a Chinese banquet for Wake alumni, the 39 students from China who will join the class of 2016 in August and their families, business leaders and officials from the Yangpu district, where Shanghai is located. The event was made possible by generous corporate sponsors Lenovo, Boston Scientific, Kilpatrick Stockton, Steinway, CNA USA, and Edison Learning. Kairoff also held a master class for about 30 highly attentive listeners the following day. The extended visit gave university officials such as Carolyn Couch, associate director in the Office of Personal and Career Development, the time to explore future internship opportunities for Wake Forest students who want to work in Shanghai. 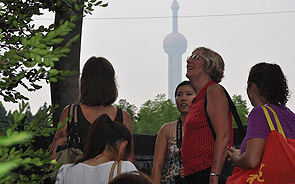 Ann Cunningham, an associate professor in the Education department, sought the beginnings of relationships with schools in China interested in professional development for their teachers and possibly hosting Wake Forest education students to study abroad. Jay Davenport, assistant vice president for development, was among the group that went to China and hosted a dinner for alumni and the new students from China. Bridges not only took the time to meet with officials from Shanghai, where many of the new first-year students live, but also to visit a new student at home with his family. For Kairoff, the event struck just the right note.